IT Solutions for Retail and Property Management The rapid pace of IT development in retail and property industry is both an advantage and challenge that companies need to embrace. As a subsidiary of RPM, Retail Performance Solutions (RPS) is committed to provide and improve your management and marketing performance with IT solutions. Vision Our vision is to be a one stop solution for retail and property marketing and management through innovative IT solutions. Mission Our mission is to assist our clients improve their business organizations productivity, performance, and profitability by providing marketing and management with innovative, targeted, and advanced solutions. ● Retail Mall Director of Sinar Mas Land Group ● Director of PT Lippo Karawaci Indonesia ● Director of Leasing/Marketing and Operational of PT Metropolitan Kentjana Tbk. ● President of APPBI JakartaIndonesia in 2003-2010 For more details, click here. ● Founders of MIT Solution (CRM, Loyalty Program Software) ● Managing Director of PT Global Teknologi ● Director Operation of PT. Indonesia Multimedia Akses for business development and relations with PT. Telkom Indonesia For more details, click here. Sinar Mas Land Group ● Senior Manager of PT Property Connection Indonesia ● Senior Leasing Manager of PT Lippo Karawaci Indonesia For more details, click here. Connection Indonesia ● Marketing Manager of PT Istana Kenten Indah ● Leasing Consultant of TCI Consultant ● Marketing Supervisor of Palembang Indah Mall For more details, click here. IRWAN TIRTARIYADI ● Experience in Management and Information Technology for more than 20 years ● Consulting and leadership positions in Accenture, The Boston Consulting Group, and Microsoft Corp.
YON MULYONO ● Marketing Strategist and Founder of Brandberry Marketing Communications ● Project development and consulting positions in Nestle Indonesia, Indofood, Lippo eCommerce, Astra Graphia, Summarecon Agung, Inul Vizta. ● Experience in developing business concept, branding, marketing strategy, and CRM Program. 10 Things why Customers are not satisfied with Loyalty Program 1. 2. 3. 4. 5. 6. 7. 8. 9. 10. 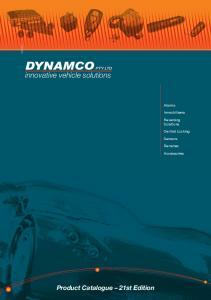 Report "Innovative Solutions, Your Success"